The popular car sharing apps, Uber and Lyft have completely transformed the way that many people get around today. While some people may think that these apps are only for young users who need safe and sober rides, one of the fastest growing groups of individuals to use this type of car service is actually the senior community. If you are unfamiliar with the benefits of using Uber or Lyft for seniors, it is important to take a moment and look at how many older adults are taking advantage of these apps. Why Uber or Lyft For Seniors? There are many seniors who want to maintain a sense of independence as they age, but one of the main reasons they no longer feel they are independent is because they cannot drive. For many seniors this used to mean getting rides from friends and family for everything from doctor’s appointments to trips to the grocery store and they can do it on their own time. There is actually a major issue in the senior community for many older adults as seniors who cannot drive make fewer trips to the doctor and are less likely to visit family and friends. This can take a major toll on any senior’s overall health and wellbeing and can leave them feeling lonely, isolated and abandoned. These car share apps are a simple solution to that problem, helping seniors get out of the house and get on with their life as normal, even when they can’t drive. These apps allow seniors to safely and easily book their own ride and there is less risk than having to go outside to hail a taxi. Both programs are now even rolling out special programs that make it easy for seniors to find handicap accessible rides. If you have a senior loved one who you feel could benefit from apps like Uber or Lyft, you may bee to help them get started and help motivate them to start using these programs. Here are a few ways to help seniors get started. Download the program directly to their phone for them and help them set up their card so they can use the service. Help seniors understand the ease of these services by taking Uber or Lyft with them the first few times they use it. Help them understand how rideshares work, explaining little tips about tipping and surge pricing. Keep encouraging your loved one to use the program. Remember, for many seniors the idea of Uber and Lyft can seem very foreign so they may need a little push. Consider companies that help seniors without a smartphone. If your senior loved one doesn’t have a smartphone where they can use the app, there are programs like GoGoGrandparent that can help seniors call a car through these programs. 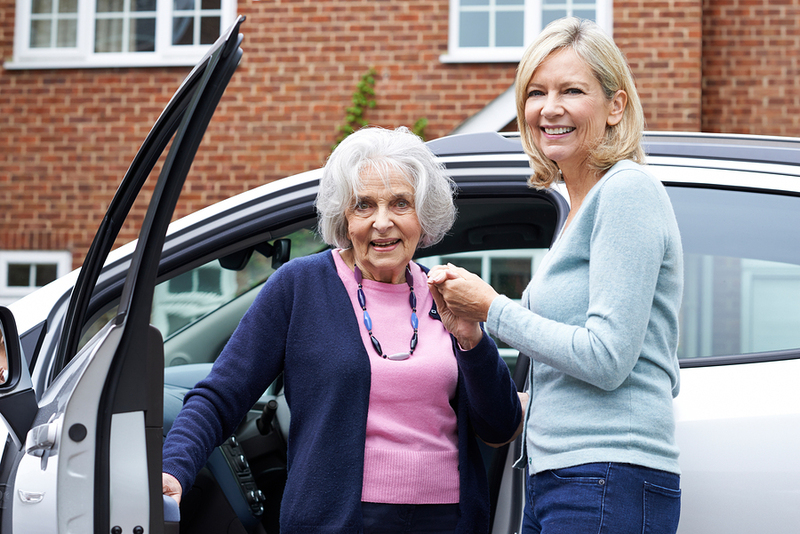 Keep these tips in mind if you think your loved one could benefit from ride shares such as Uber or Lyft, they can go a long way in helping your senior enjoy a better quality of life well into their golden years.